Twitter spam is something you may have noticed since you started using the service, or something you may have noticed less of lately, since the company may have removed over 100,000 spam accounts. Twitter spam looks like a regular old tweet, mostly a reply to one of yours, especially if you mention the word “iPhone” or “iPad”. Developer Andre Torrez has decided to fight back with LaterSpam.org. LaterSpam lets you log into Twitter, and you are shown your last replies. If one looks like spam, just mark it as such. LaterSpam also tracks how many spam tweets you’ve reported. The app uses the Twitter API to report the spam tweet officially, just like you would have to do by hand using a standalone Twitter app. On your dashboard, you’re shown the accounts that have been suspended, to confirm that your suspicions were correct or not. 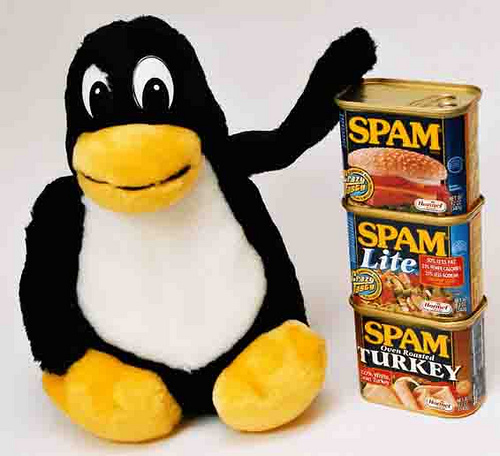 In my experience there isn’t much of a spam problem on Twitter. Yes, it’s annoying to mention something about your iPad and have a spam bot or two tell you how you can get a free one just by “clicking this URL,” but I feel like that happens once or twice a month at most. I normally just mark the thing as spam and move on. But the last time it happened I clicked over to see the account’s timeline and saw they had been at it for quite some time. Even tweeting innocuous tweets in between the mention spam which I guessed was to throw off Twitter’s own spam algorithms. In a way, Andre Torrez has made reporting spam on Twitter fun. Will you join the crusade to help end Twitter spam?